West Virginia, which has the nation's highest rate of babies born dependent on drugs, will now offer Medicaid coverage to treat those babies. The CMS has approved treatment services in the state for newborns enduring the torment of drug withdrawal, the state Department of Health and Human Resources said in a news release Tuesday. The statement said West Virginia becomes the first state to receive such approval. Cindy Beane, commissioner of the DHHR's Bureau for Medical Services, said it will allow the treatment of the opioid crisis' "most vulnerable, innocent victims." In October, first lady Melania Trump visited Lily's Place, a drug recovery center for infants in Huntington. During the visit, Lily's Place Executive Director Rebecca Crowder lamented the challenge of getting funding and insurance coverage to treat the infants. The first of its kind in the nation, the 12-room, not-for-profit facility was opened in 2014 by a group of volunteers and healthcare workers. Its website says the facility provides care for about 100 infants each year. "This issue has been a source of uncertainty for Lily's Place, so we welcome this announcement," Crowder said in a statement issued through the office of Republican U.S. Rep. Evan Jenkins of West Virginia. 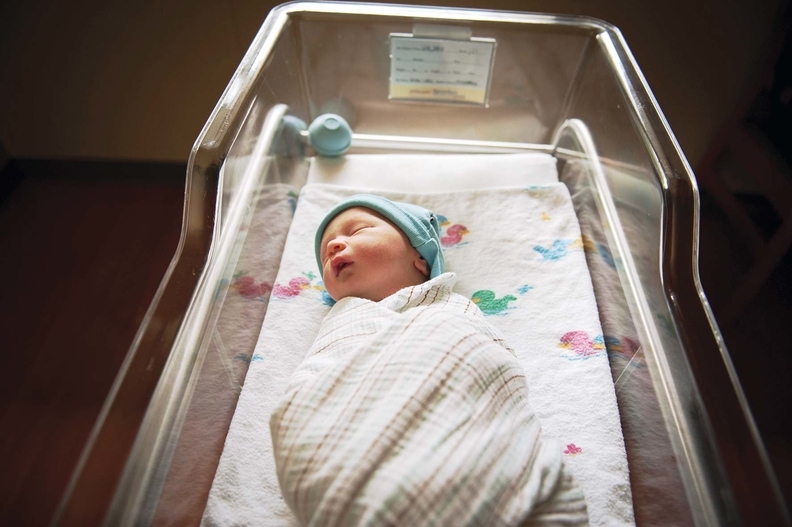 "This designation will allow us to continue to offer compassionate care to newborns in need." Crowder said the hope is to enable more infant drug rehab centers to open nationwide. A bill introduced in Congress last year is aimed at helping such facilities overcome regulatory hurdles and receive Medicaid-service reimbursement.